What’s the best way to educate children? They say it’s through experience. So when it comes to teaching kids about transportation, the teachers of the "First Step" class of Miriam College in Santa Rosa, Laguna, have the right idea. 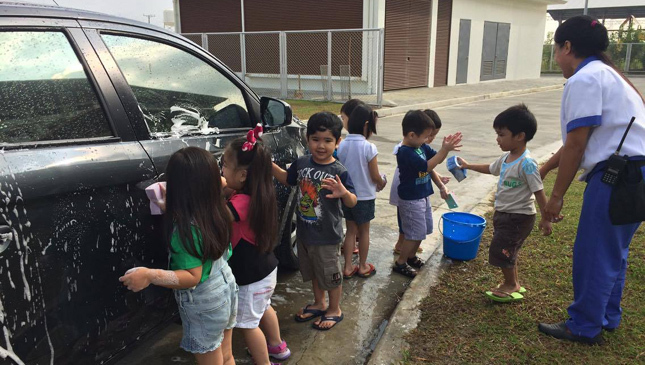 Last January 18, they had their small students bring sponges and buckets, and wash a car as part of the latter's lesson on transportation. It was just one of their many activities for the whole month of January as they tackled the subject. 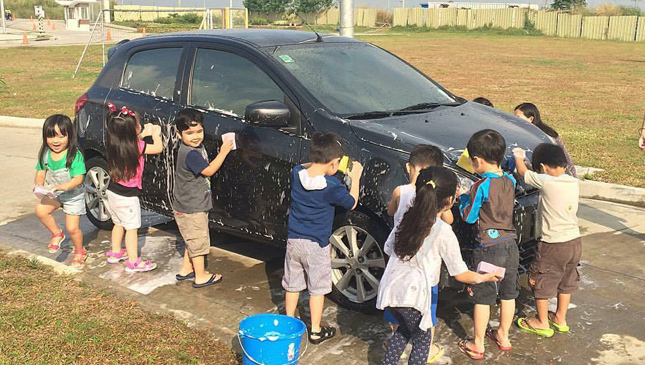 "I wanted the kids to experience how it is like to wash a car since we’re learning about transportation," said teacher Kaye Paulino. She added that she wanted to present the lesson in an interactive way, that’s why she decided to let the kids take part in the task. Prior to the car wash, Paulino and her students discussed different modes of transportation, car safety, and how to behave properly when mom and dad are behind the wheel. Thankfully, instead of letting her class just deal with paperwork, she also set up this enjoyable exercise. 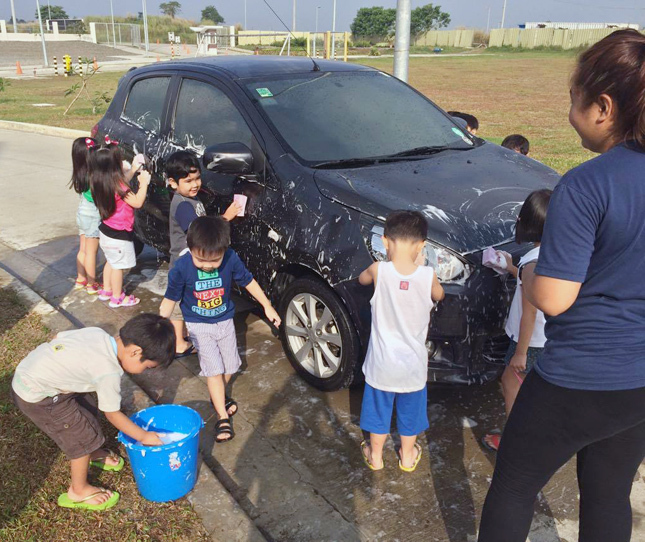 The preschoolers between ages three and four gamely soaped, scrubbed and hosed off a black Mitsubishi Mirage. And they looked absolutely adorable as they dutifully performed their tasks. Everyone was all smiles. 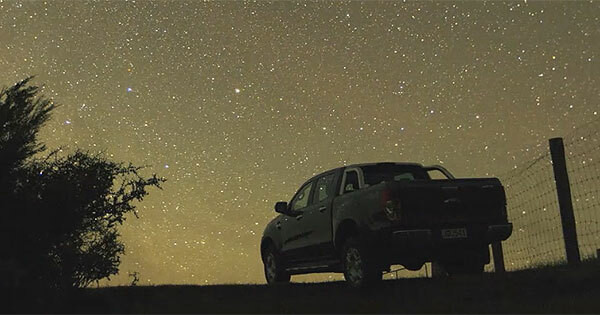 Never mind that their clothes got wet, or that they could barely reach the vehicle’s windows. They just washed the car with gusto. 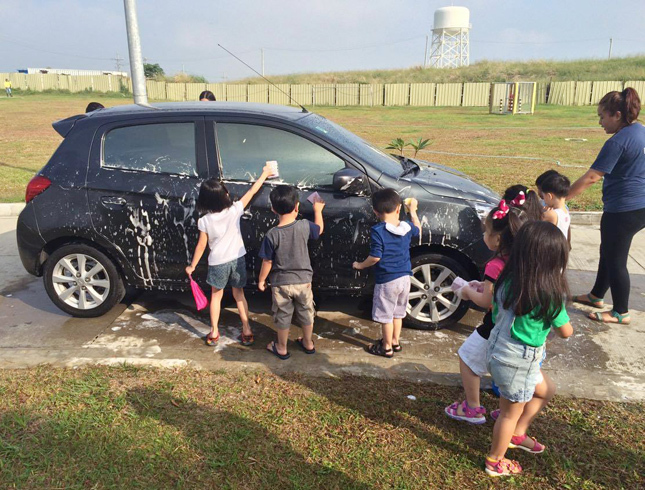 "The kids had fun," shared photo sender Henry de Vera, father of one of the kids. He narrated how his son Lucas excitedly participated. The soap bubbles, of course, made it more enticing for the children. We salute educators like teacher Kaye, who think creatively and go out of their way to inculcate seemingly simple lessons such as this among their students. After all, these tots will become future motorists some 15 years from now. It's nice to know that, at such an early age, they're already learning the value of transportation and, possibly, discipline on the road.